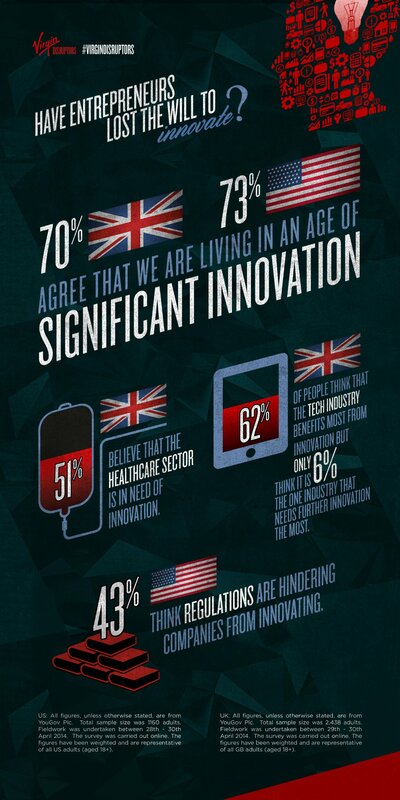 Infographic: are we living in an innovative world? As you can see in the infographic below, there’s a very strongly held opinion that we are currently living in an age of great innovation. This belief was further backed up when the internet was voted the most innovative invention by the UK public with 49% picking it ahead of Penicillin (20%), the steam engine (14%), the light bulb (9%) and the washing machine (1%).